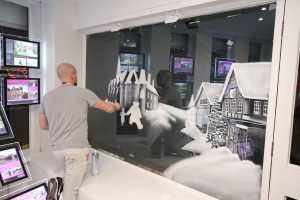 Christmas is coming to the Top of Town in Basingstoke as it will be the only high street in the UK to be adorned with a vast array of specially commissioned window displays of snowy scenes. 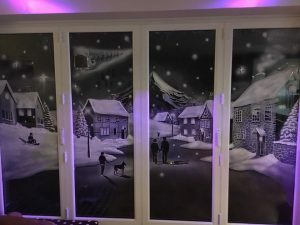 Several of the independent businesses throughout the Hampshire town will be displaying bespoke vinyl decals of festive fun from today. 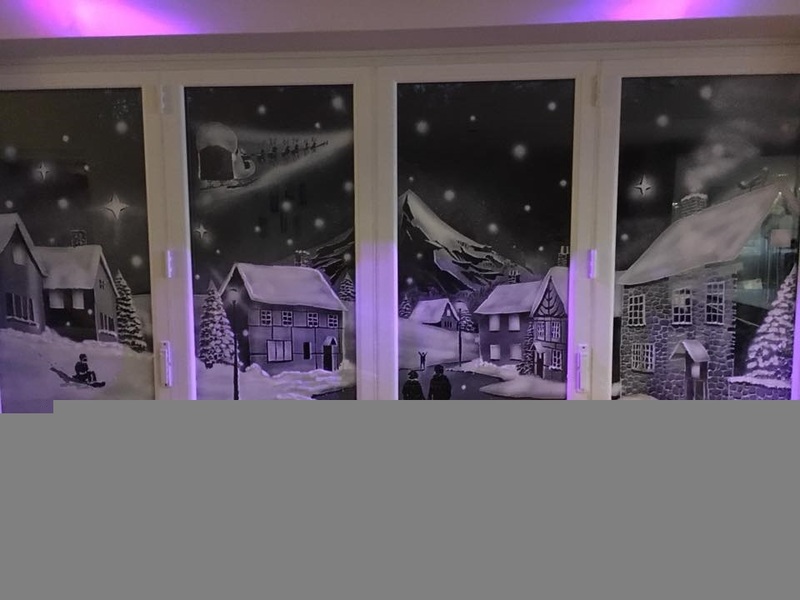 There will be six designs in total yet each business will have its name incorporated into their one-of-a-kind Christmas creation by the artistic team from Snow Windows. 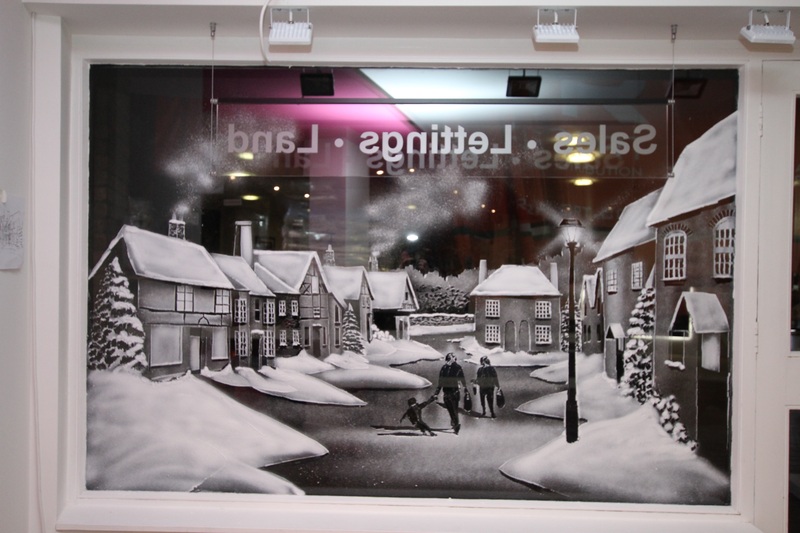 It is just one of the many festive events which will be bringing the spirit of Christmas to Basingstoke this year. It is being run by Basingstoke Together, the face of the Basingstoke Business Improvement District (BID). The BID’s aim is to help Basingstoke town centre to thrive by creating destination events, engaging with consumers and supporting retailers and businesses. 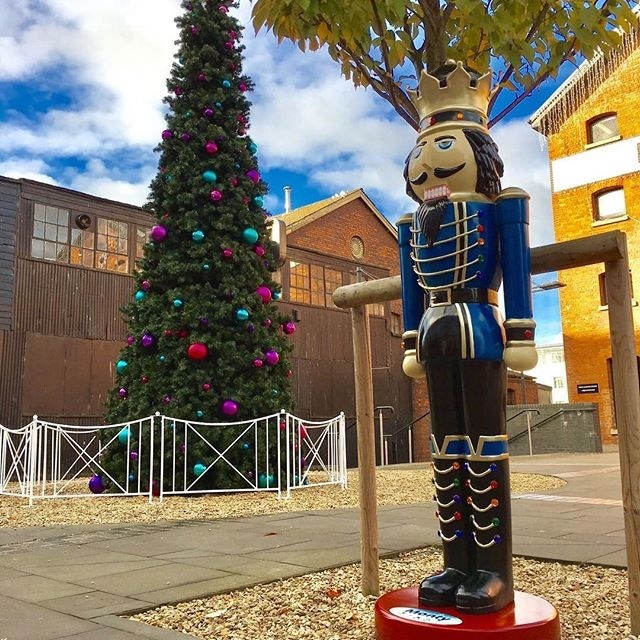 Lucy Boazman, Chief Executive of Basingstoke Together, said: “We’re really proud that Basingstoke has so much to offer residents and visitors who want to enjoy a truly festive feeling this year. 25 businesses in the Top of Town will be supporting the initiative to create a snowy spectacle along Winchester Street and the surrounds. The Snow Windows will be on display in time for a wide variety of festivities happening in Basingstoke. Surya’s International Food and Newsagent on Church Street is one of the businesses who will be dressing their windows ready for Christmas. Nutcracker Trail – 16 November – 31 December: Take your children on a magical trail around Basingstoke to discover all ten of our Christmas Nutcrackers. Collect a Trail Book from various pick-up points around the town centre to be in with a chance of winning festive prizes. 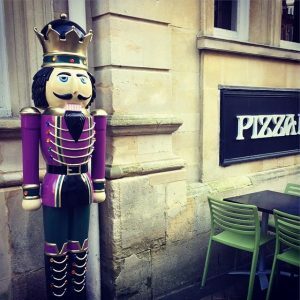 Christmas Cracker Making Station – 24th and 25 November: Get crafty and join the elves at the Christmas Cracker Making Station in Festival Place. Fill your crackers with giggles, jokes and wishes to set your Christmas off with a bang. Christmas street theatre – every Saturday from 24 November – 22 December: Head to The Malls to take in a wide variety of festive fun shows including Funky Santas and Giant Christmas presents. The Night Before Christmas projection – throughout December: A special Night Before Christmas show will be projected onto The Willis Museum. Shows will be on the hour every day from 4pm.